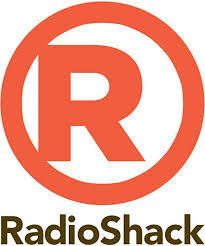 RadioShack Corporation (NYSE:RSH) has been suffering from financial challenges and had sought rescue through loans in order to restructure its operations. However, the latest twist in its lender deals where some lenders have claimed that the company has defaulted in the repayment of loans amounting to $250 million has made it seek amendments to itscredit agreement. The company had earlier said that it would apply for bankruptcy if its efforts to attain refinancing options were unsuccessful. The company also made it clear that it would close down some of its stores that aren’t performing to the required standards. Sources familiar with the matter have said thatRadioShack Corporation (NYSE:RSH) is planning to hold talks with Salus Capital Partners LLC in order to change the terms of its loans to favorable ones that will allow it to close up to 1,100 of its underperforming stores.Salus Capital Partners LLC has however claimed that its loan terms with Radioshack have been breached, and so it would demand for immediate repayment of the full loan amount. Besides the default claims, RadioShack Corporation(NYSE:RSH) has also been facing resistance from its creditors towards its restructuring plans. This has made it a challenge for the company to fast-track it’s activities in order to get back on its feet. The company also plans to negotiate with bondholders who own up to $324.8 million of the company’s notes. The negotiations will however be left pending until after the company completes its recapitalization plans. All the negotiations that RadioShack Corporation (NYSE:RSH) is going into with the lenders is to ensure that it gets some breathing space to restructure and realize a complete turnaround in its operations before making huge financial strides towards loans repayments. The company had earlier indicated in its SEC 13F filings that it doesn’t have enough cash to meet the demands of the lenders. It also said in a regulatory filing that it will contest the default claims.